To evaluate the outcomes of intravitreal injection of bevacizumab (IVB) for retinopathy of prematurity (ROP). IVB was selected to be the first treatment for type 1 ROP in 8 eyes (4 patients). Bevacizumab (0.25 mg/eye) was injected into the vitreous cavity under either general anesthesia or sedation. Fundus photography and fluorescein angiography were performed before the IVB. One infant was observed to the age of 1 year 6 months, the second to 1 year 9 months, the third to 1 year 10 months, and the fourth to 2 years 0 month. Before the IVB, 6 eyes (3 patients) had ROP in zone II and 2 eyes (one patient) had ROP in zone I. The 3 infants with ROP in zone II weighed 652, 476, and 579 g with gestational ages of 24, 27, and 24 weeks at birth, respectively. The infant with ROP in zone I weighed 972 g with a gestational age of 26 weeks at birth. IVB was performed at postmenstrual ages of 33–37 weeks. The IVB was effective in all eyes with ROP in zone II and additional treatment was not required, whereas vitreous hemorrhage and cataract were found at 19 weeks and 5 months after the initial IVB in the two eyes with ROP in zone I. These two eyes required additional IVB, laser photocoagulation, and surgery. Our findings suggest that eyes with type 1 ROP in zone II can be treated with IVB. Further studies are needed with a larger number of eyes. 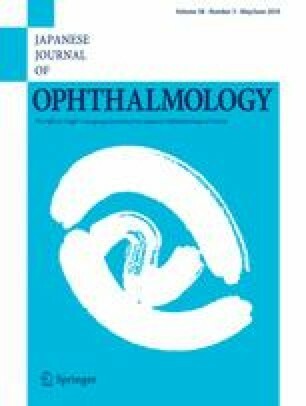 The authors thank Daishi Tsujioka, MD, Masuo Sakamoto, MD, Tsuyoshi Minami, MD and Takuya Numata, MD in the Department of Ophthalmology, Kinki University Faculty of Medicine, and Shunsuke Minakata, MD and Akane Izu, MD in the Department of Pediatrics, Kinki University Faculty of Medicine, for their continuous clinical assistance and suggestive advice on this study. This research was supported by research grants to S.K. Y.S. and K.K. from Japan Society for the Promotion of Science, Japan, and to Y.S. and K.K. from Ministry of Health, Labour and Welfare, Japan. K. Kuniyoshi, None; K. Sugioka, None; H. Sakuramoto, None; S. Kusaka, None; N. Wada, None; Y. Shimomura, None.